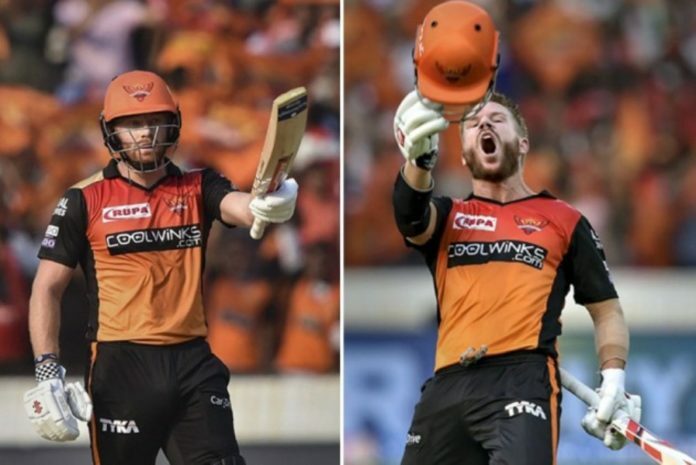 Hyderabad: Jonny Bairstow and David Warner smashed sensational centuries to guide Sunrisers Hyderabad to a comprehensive 118-run win over struggling Royal Challengers Bangalore in an Indian Premier League match here Sunday. With a gigantic target to eclipse, RCB needed a rollicking start but the visitors’ chase never got going as they kept on losing wickets to be bundled out for 113 in 19.5 overs. It was RCB’s third consecutive loss in the tournament, while Sunrisers registered their second win out of three games this season. Playing his first IPL match this season, Afghan all-rounder Mohammad Nabi did the early damage as he picked up three quick wickets — two in his second over — as RCB’s slumped to 22 for three by the end of the fourth over. Earlier, RCB captain Kohli’s decision to put Sunrisers in backfired as all his bowlers were taken to cleaners by Bairstow and Warner who became the first pair in IPL history to post three consecutive hundred-run stands.